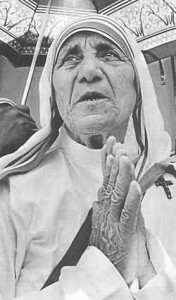 VATICAN CITY (CNS): Officials involved in the process to canonise Mother Teresa of Calcutta said they were confident that the healing of an Indian woman with an abdominal tumour would be the miracle needed for the nun’s beatification. Earlier this month, the leader of the Science and Rationalists Association of India, as well as a former state health minister and director of the hospital where the woman was treated for tuberculosis, claimed the healing was the result of medical treatment, not prayers to the founder of the Missionaries of Charity. Vatican medical consultants had examined the woman’s medical records and concluded there was no medical explanation for the disappearance of the tumour. Sources said the consultants specifically considered whether medication used for treating her tuberculosis could have caused the tumour to disappear and they concluded it could not. A board of Vatican theological consultants said the healing was related to prayers for Mother Teresa’s intercession. The opinion of the two boards was accepted on October 1 by the cardinals and bishops who are members of the Congregation for Saints’ Causes.